Google’s quarterly report on higher education search, state of the industry, search auction insights and emerging trends was released at the end of April. Following is a summary of the report’s highlights, along with a few comments and a bit of speculation on my part on what it all means. See the Google Hangout report for the full details of the report. The images below are screen captures taken from the Hangout, produced by the Google Education Group. This is a bit concerning but not really unexpected. Interest in pursuing higher education tends to cycle in reverse with the strength of the economy and as the US economy is now on an upswing, a down turn (or at least a flattening) in higher ed search activity makes sense. Generally, if people have a job or feel good about getting a job, their interest in pursuing higher ed declines. An 11% increase in ads per search query over last year Q1 indicates to me that a lot of schools are still just venturing into PPC. We all pay the price of this increased activity and competition with an average CPC increase of 6%. 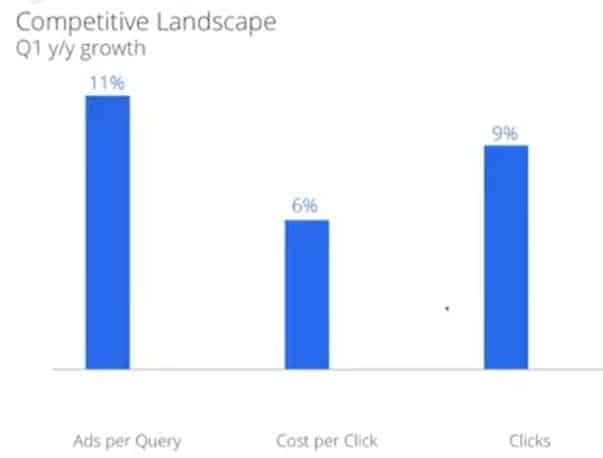 The good news is that overall, clicks are up by 9% on flat search growth which must mean that higher ed marketers are getting better at producing better PPC ads with strong relevance to their chosen keywords. This is definitely the most interesting statistic to me of the whole report. The continued expansion of mobile device usage likely accounts for the growth but the really interesting piece of this is to ponder if total search activity is flat and mobile search is up 23% then desktop search must be down some amount. My off the cuff calculation based on mobile being around 35% of total search suggests that desktop higher ed search is down by around 10%. This represents a pretty important sea change in search behavior. It suggests to me that we have reached a important tipping point and that the migration to mobile for all facets of internet access and behavior will continue to increase. 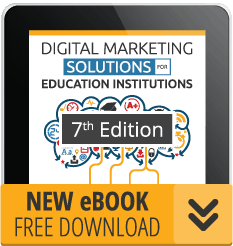 As a higher ed marketer, if you have not yet figured out how to deliver your institution’s marketing objectives on mobile, you need to focus on it and figure it out fast because this is where most of the action will be in the very near future. YouTube searches on higher ed terms have been increasing steadily for some time. 2013 Q4 year over year growth was 23 %. 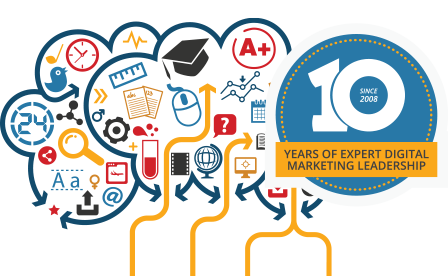 As the second largest search engine, next to Google, and with this ongoing growth, higher ed marketers should definitely be investing in video-based promotional content that they can put on their websites and share on Youtube. If your YouTube channel is currently not a priority, I recommend you make it one. Competency–based learning an emerging trend so the 52% increase, is not really that dramatic. What is really important is that this is an approach that may open up higher ed to a whole new kind of pedagogical and business model. Competency-based learning saves students both time and money and creates multiple pathways to graduation. It allows for online and blended learning and for greater flexibility in mapping out a path to earning a college degree. Your institution may already be developing these new types of programs and accreditation. If they are, be sure to get word of them out into the marketplace ASAP and establish your brand as a leader in this emerging marketplace. 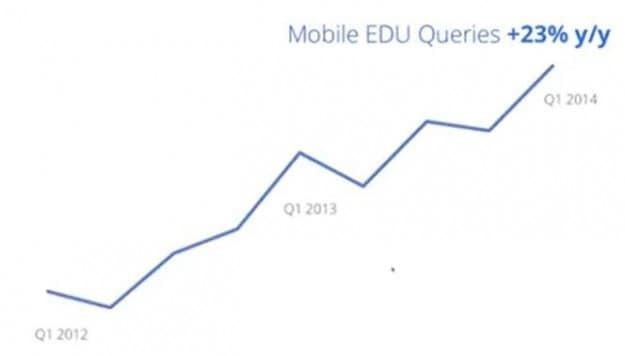 Do you find these summaries of Google’s Education Teams Quarterly Search Analysis reports interesting and helpful? Please let us know so we can decide whether to give them continuing coverage like this in the future.